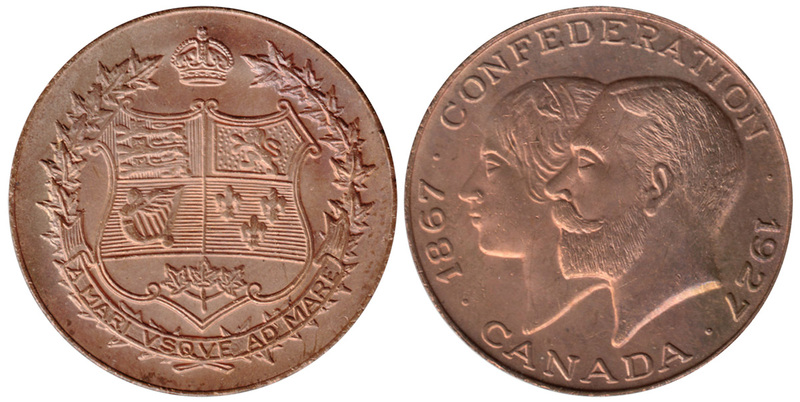 Medal celebrating the 60th anniversary of the canadian confederation. The Shield of Canada reflects the royal symbols of Great Britain and France (the three royal lions of England, the royal lion of Scotland, the royal fleurs-de-lis of France and the royal Irish harp of Tara. On the bottom portion of the shield is a sprig of three Canadian maple leaves representative of Canadians of all origins.